As a global cycling company, Canyon has certainly been building notable momentum over recent months. As a global cycling company, Canyon has certainly been building notable momentum over recent months. Locally, you would have seen Aussie whippets such as Jenni King and Mark Tupalski aboard Canyon mountain bikes, while further abroad Canyon has become a regular sight on the Enduro World Series circuit thanks in part to the mad talents of Fabien Barel. 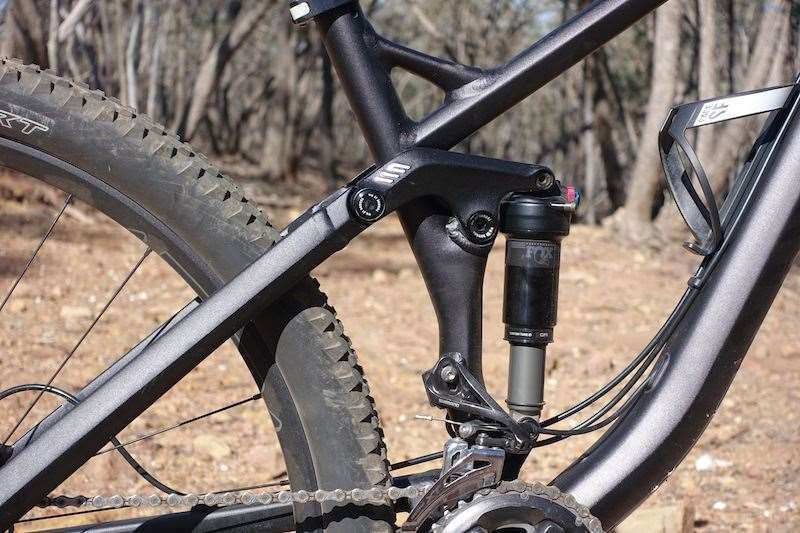 Just a couple of weeks ago, Canyon launched their new Sender downhill bike to much fanfare, whilst also sparking rumours of an incoming World Cup DH team. Making more headlines in cycling-related news, the German bike brand made a big song and dance when it unveiled its new state-of-the-art factory back in October, which has been designed to meet increasing worldwide demand for their bikes. The big news for Australian riders however, was Canyon's announcement last year of their arrival in the Australian and New Zealand markets. Since then, Canyon has been spreading the word about its consumer-direct approach and the cost benefits of cutting bike shops and distributor warehouses out of the equation. They've also been spreading the word about their expanding bike line, which includes the Exceed and the Strive that we have recently reviewed here at AMB. 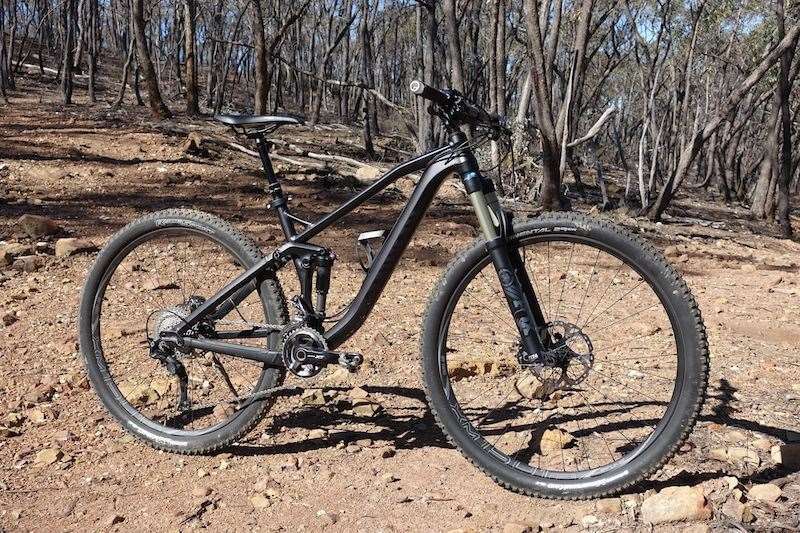 While the Exceed carbon hardtail impressed us with its light weight and the Strive ruffled feathers with its clever ShapeShifter technology, Canyon were keen for us to check out a more versatile model designed for the trail-riding masses; the Nerve AL. 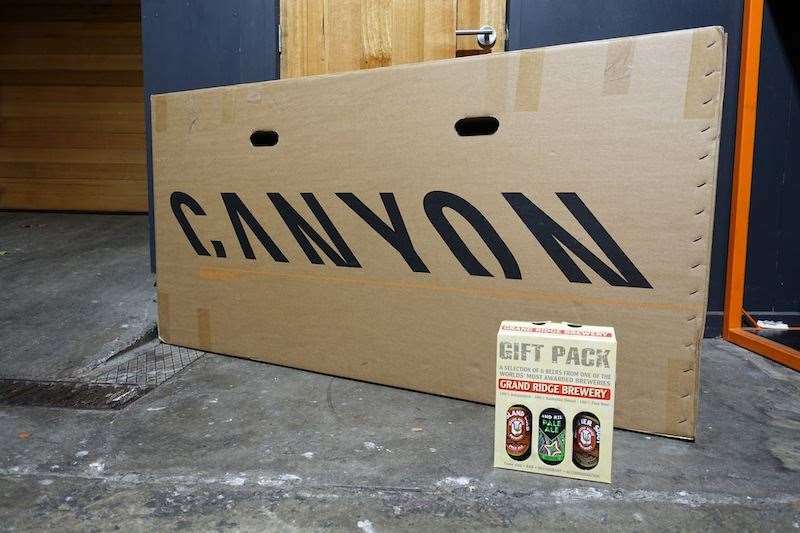 Earlier this week, I received a large box with the word 'CANYON' spelt on the outside. Inside that box was our Nerve AL test bike. In case you didn't know already, the whole schtick with Canyon is that you order your bike online, and the bike is delivered directly to your door. There are no Canyon dealers, and there are no showrooms (well not here) - the entire transaction process is carried out online. The bikes themselves come directly from Canyon in Germany, and providing the model you want is in stock in their German warehouse, it'll take about 2-3 weeks to arrive. Shipping costs $199 for Australian customers, and $249 NZD for our Kiwi brethren. Once the box arrives at your house, there is a small amount of assembly required. Like any good home mechanic, I grabbed a 6-pack of beer, and began the unboxing process. 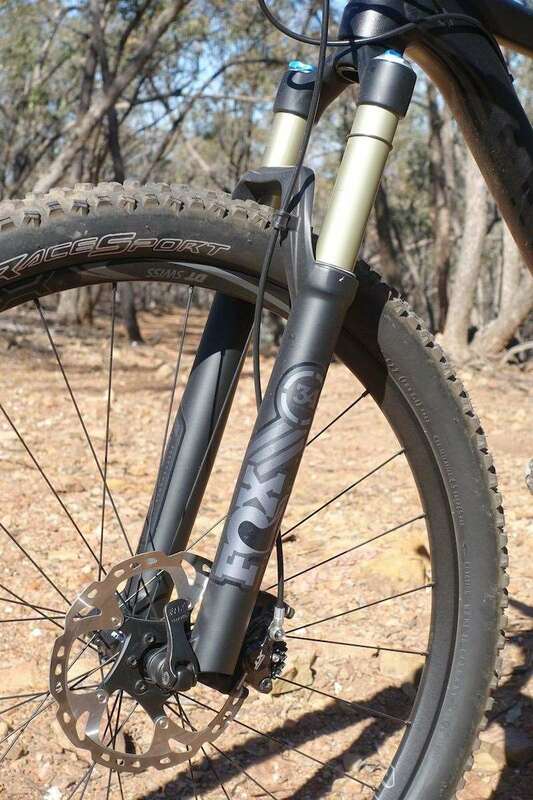 I will be reviewing the Nerve AL in an upcoming issue of AMB Magazine, but for the meantime, lets have a look at the bike itself and what it's involved with receiving and building your own Canyon mountain bike. While I've heard a reasonable amount about the 2016 Canyon range, I must admit that I wasn't particularly familiar with the Nerve. 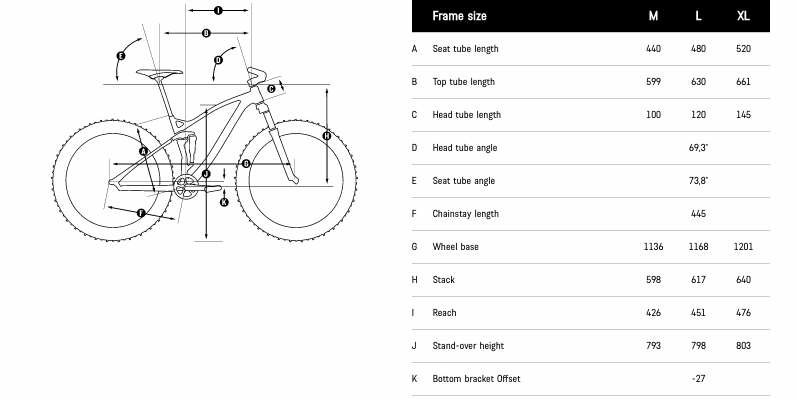 For your reference, the Nerve AL is designed to straddle the gap between a lightweight full suspension race bike, and a burly All Mountain rig. It features a lightweight alloy frame, 110mm of rear wheel travel, 29" wheels, and a Fox 34 up front with 120mm of travel. It isn't super light, but it isn't super-slack either. It's a bike designed to address the needs of 80% of the market, appealing to riders who love to ride all day long, but still want some confidence and capability for letting rip on the descents. When you receive your Canyon, there is some assembly required. 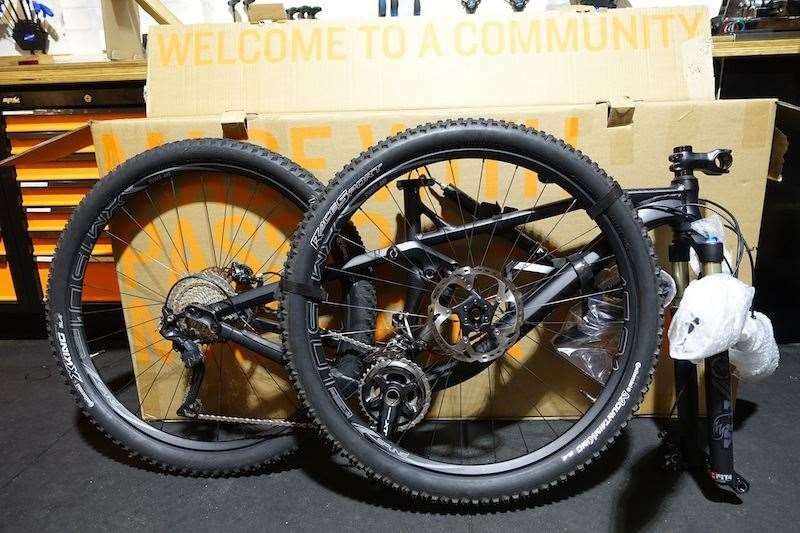 The bike comes packed well inside its cardboard box, with the front wheel and the dropper seatpost secured with Velcro straps and padding to prevent any rubbing or scratching against the frame and other components. 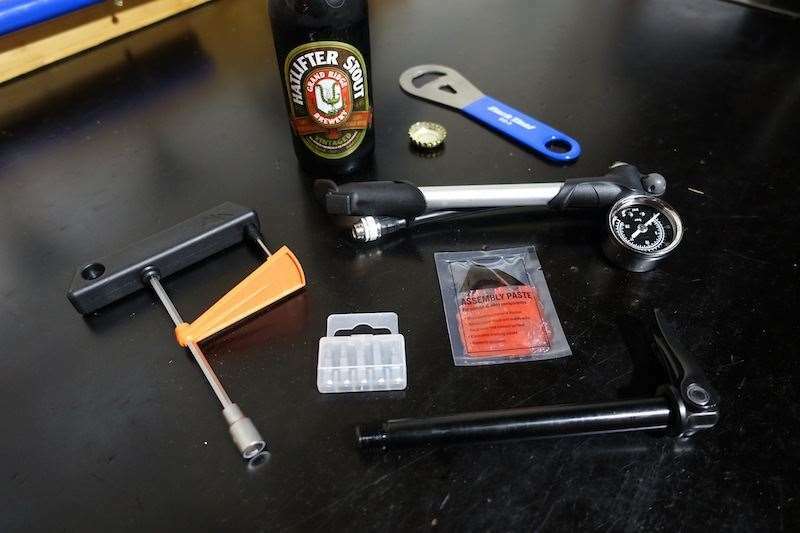 Along with the bike, Canyon include a torque wrench, multiple bits, a sachet of assembly grease, and a shock pump to help you setup the bike. 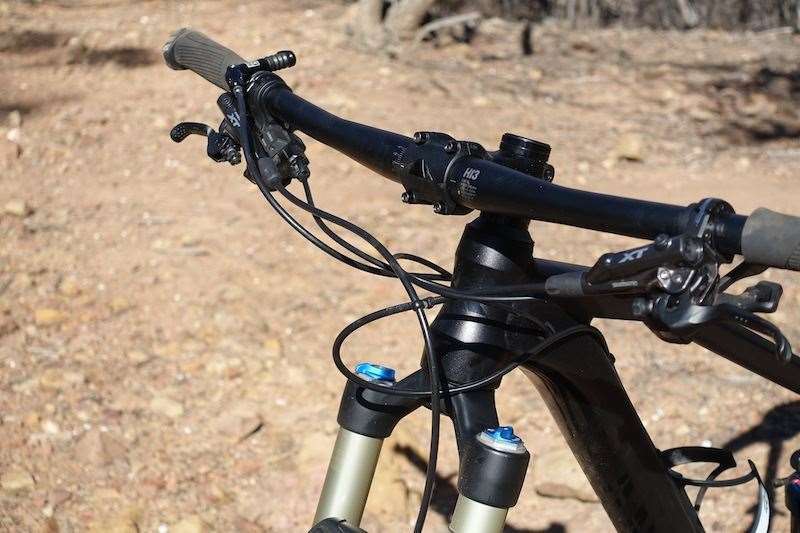 For the most part, all you'll need to do is install the handlebar onto the stem, fit the front wheel and your pedals, and the bike is largely rideable from there. Also included with the bike is the world's largest manual. Seriously, it weighs like 8kg. 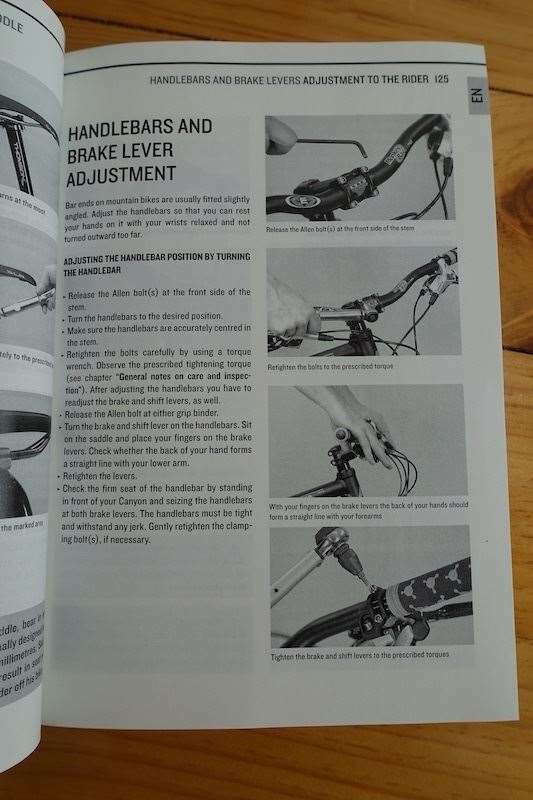 Thankfully it's also the world's most comprehensive bike manual, with information on everything from adjusting the cockpit, through to setting up the suspension, general maintenance, and how to assess your bike after a crash. 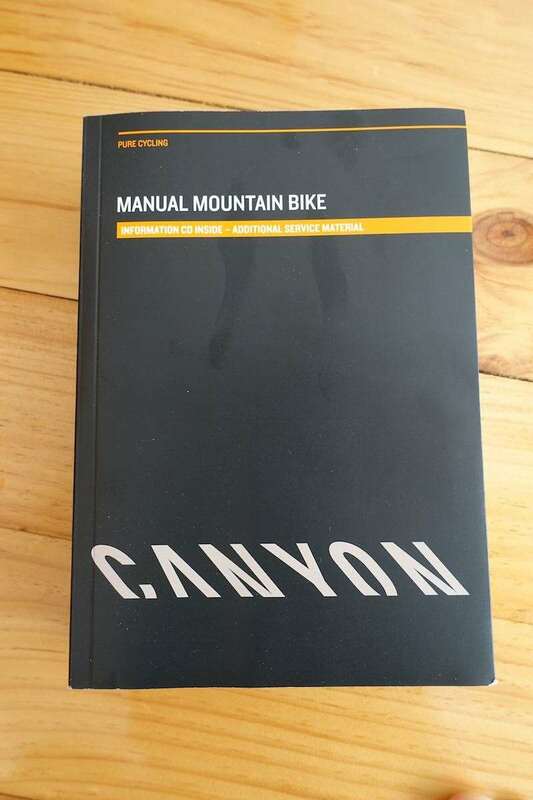 Because you won't have bought your Canyon from a bike shop, this manual aims to address any of the questions you might have about your new bike. Once built in the workshop, it was time to get the Nerve AL dialled in on the trail. Out of the box, our Medium test bike weighs in at 12.67kg. That's pretty good for an alloy dually fitted with chunky tyres and a dropper seatpost. Indeed the build kit on the Nerve AL is clearly designed to maximise it's off-piste capability, with a stout Fox 34 up front and a modern cockpit setup that pairs a 70mm long stem with 740mm wide handlebars. The Nerve AL features a 'Utilitarian German Black' colour, but it does look slick with the matte finish and angular tube shapes. Compared to the previous Nerve frame set, the new version is slimmer in profile, and there is a little less welding present. There is considerable hydroforming present on every single tube on the Nerve AL's chassis, highlighting the significant advancement of aluminium frame technology over the past few years. Who needs carbon when alloy frames look this good? The Nerve AL is well appointed in the suspension department, with Fox Performance Series suspension front and rear. 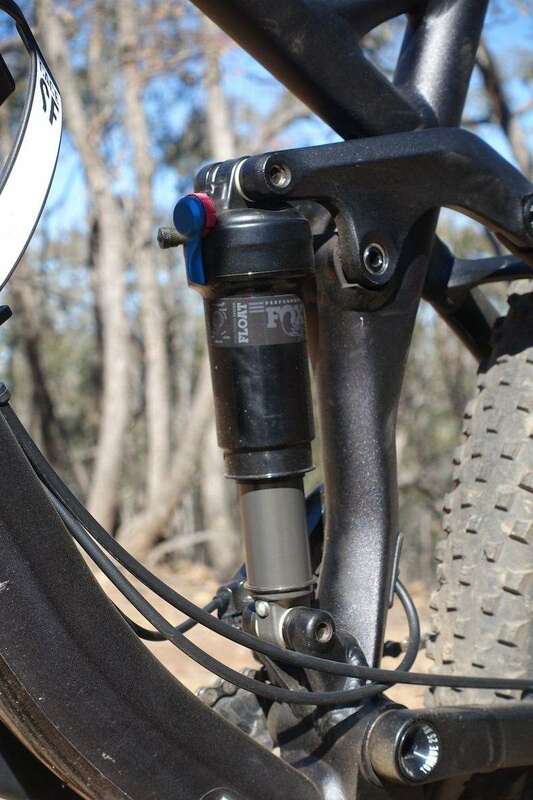 It may lack the flashy Kashima coating of the Factory models, but the 34 fork and DPS shock are certainly packed with the right stuff on the inside. The build kit on the Nerve AL comes courtesy of Shimano, with the M8000 Deore XT components taking care of braking and shifting duties. Combined with the DT Swiss Spline One wheels, it certainly makes the Nerve AL a good value proposition on paper, even after you factor in the compulsory $199 shipping fee. There are some neat details present on the Nerve AL frame set that show that this isn't just a generic frame set. 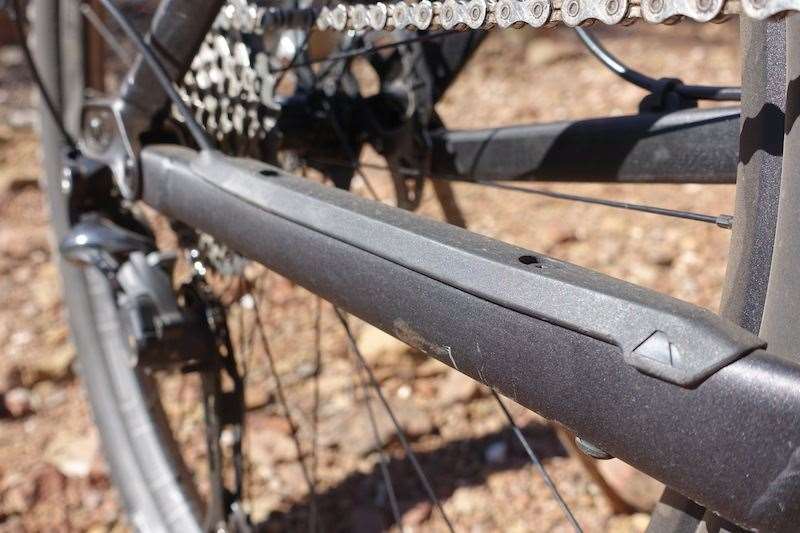 A bolt-on rubber chain slap guard helps to keep noise at bay, while the chunky forged alloy dropouts allow for a secure mount for the 142x12mm rear thru-axle and the Shimano Direct Mount rear derailleur. There's a combination of internal and external cable routing on the Nerve AL, but out of the box our test bike was looking pretty damn busy at the handlebar-end, with excessively long gear cables, brake hoses and the Reverb hydraulic line. A necessary evil when the bike is designed to arrive at your doorstep with the handlebars strapped around the frame. This is one potential downside of buying a bike directly rather than through a bike shop. Ultimately you'll be responsible for shortening and bleeding the brake lines, and you'll also have to fiddle with the internal gear cables assuming you want to neaten up the routing. If you're proficient on the tools, this won't present an issue. 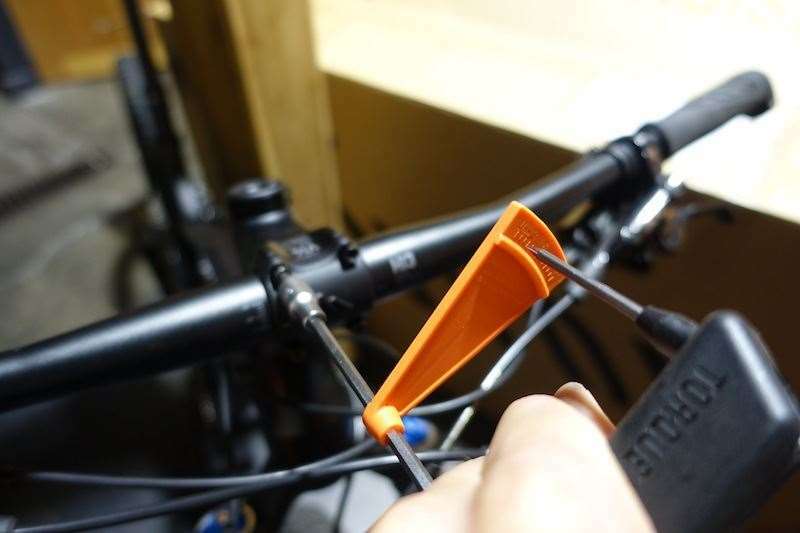 But if your friends regularly tell you to step away from the screwdrivers and allen keys, then you might want to consider taking your bike into the local bike shop to have this service carried out. As for the rest of the Nerve AL's build quality, it's worth noting that each Canyon bike is setup, test ridden and checked over at the German warehouse prior to being packed into its shipping box. 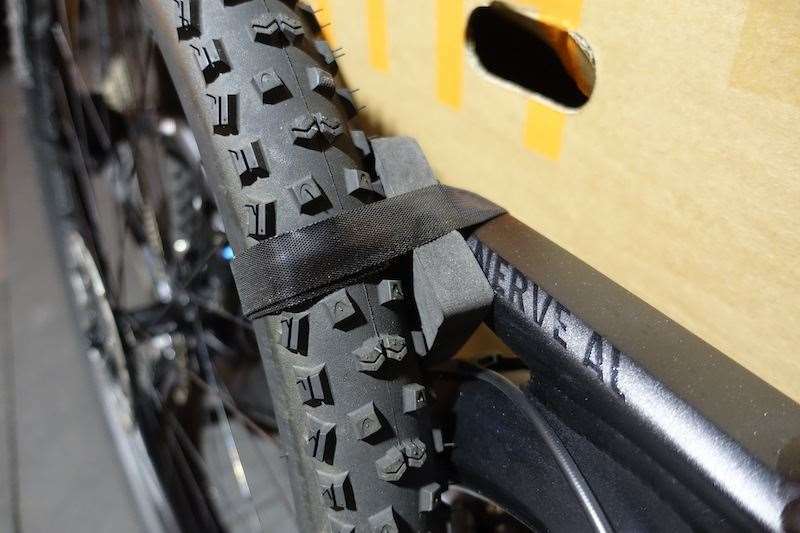 The idea is to ensure each bike is as ready to ride as possible and to minimise any fiddling required by the end consumer.